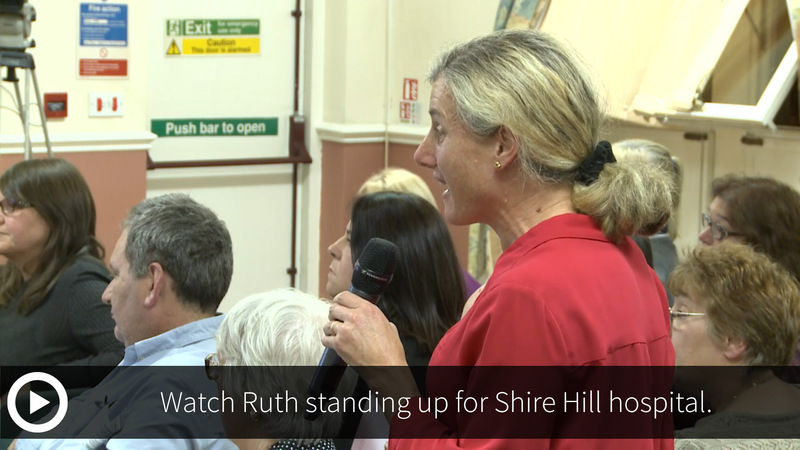 On Thursday evening I attended the first public meeting on the Intermediate Care consultation that will decide the future of Shire Hill Hospital. Despite being announced at short notice and with little publicity, the meeting was full to capacity with dozens of people unable to enter. Many people pointed out the inaccuracies and bias in the consultation document that has as the ‘preferred option’ moving Shire Hill’s 34 intermediate care beds to the Stamford Unit in Tameside. Local health professionals also pointed out the lack of joined up care for people who come out of hospital and the need for services in Glossopdale to be properly established before any changes are made. Staff at Shire Hill advised how they could offer more services if the Shire Hill hospital site is retained and invested in. The meeting was recorded on video and my questions are at 1h:38m on the recording. 1. A further consultation meeting in Glossop so all those who wished to attend and ask a question or make a point could do so. We were told that access for further discussions would be provided. 2. For the needs of the staff to be taken into consideration so that their valuable skills are not lost to the NHS. We were told that if the beds were transferred to the Stamford Unit then staff would be able to transfer, and that changes of hours and flexibility to fit in with their travel arrangements. 3. Promises of additional services for Glossop and extended opening hours were mentioned verbally. I asked that these be put into writing and was told that they would be.I have asked the CCG for more details on all of these points. In the meantime, the petition is gathering pace with hundreds more signatures gathered at our mass petition in Glossop and from people signing in local shops and gatherings. I will present the petition when Parliament returns in October.